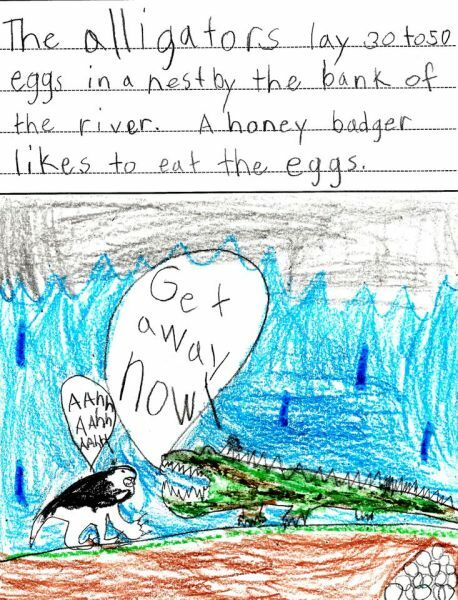 Comics motivate reluctant writers and provide a structure for student writing and presentation. Creating a nonfiction comic also teaches students how to put things into their own words and avoid plagiarism. In this project, students of all ages will learn how to use comics to their research on a content area topic (This project is especially useful for science and social studies topics). Lake Erie Ink will motivate your students to research a topic and use image and text to translate their research into their own vision and words in an informational comic. Research notecards become comic panels, demonstrating the value of good note taking, as students synthesize what they have learned about a topic and translate their learning into their own nonfiction comic. Younger students can acquire their research through listening and interviewing. Older students can use multiple sources for their research. For a one day workshop, all research should be conducted prior to visit or provided as a handout, and students will need time to finish their comics after the visit. Projects can be differentiated for different abilities by requiring more or fewer facts/notecards. 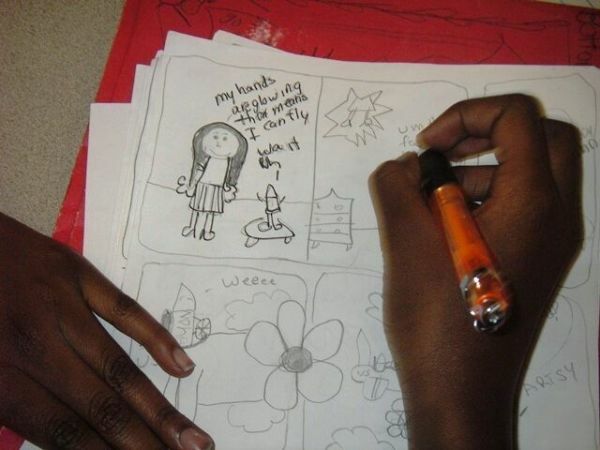 Lake Erie Ink also uses comics to teach students how to write personal and fictional narratives.